Have you ever been in a sticky situation when you REALLY wished you had charged your phone before leaving the house? Or where you wished you hadn't been so cheap and invested in a DC charger to use when you were on the road? Sometimes, it's not even your phone that you wish you had charged, but maybe your Kindle or your MP3 player. I have unfortunately found myself in similar situations too often and am entirely too familiar with the low battery symbols on all of my devices. Honestly, it's not out of laziness that I don't take the time to charge my products, but that I don't realize that I have to until the battery on my iPhone is nearly empty and turns red. Cue the ReVIVE Series TwinPort Dual USB External Battery Pack! This unique and powerful external battery pack can store up to 5,000 mAh of power to provide charges to a wide variety of electronic products, including smartphones, MP3 players, e-readers, and other small electronics. Designed with convenience in mind, the TwinPort provides a charge to your electronics whenever or wherever it is needed. With a 2.1 amp charging current and the dual USB design, the TwinPort can provide a simultaneous full charge to two electronic devices such as cell phones or MP3 players. 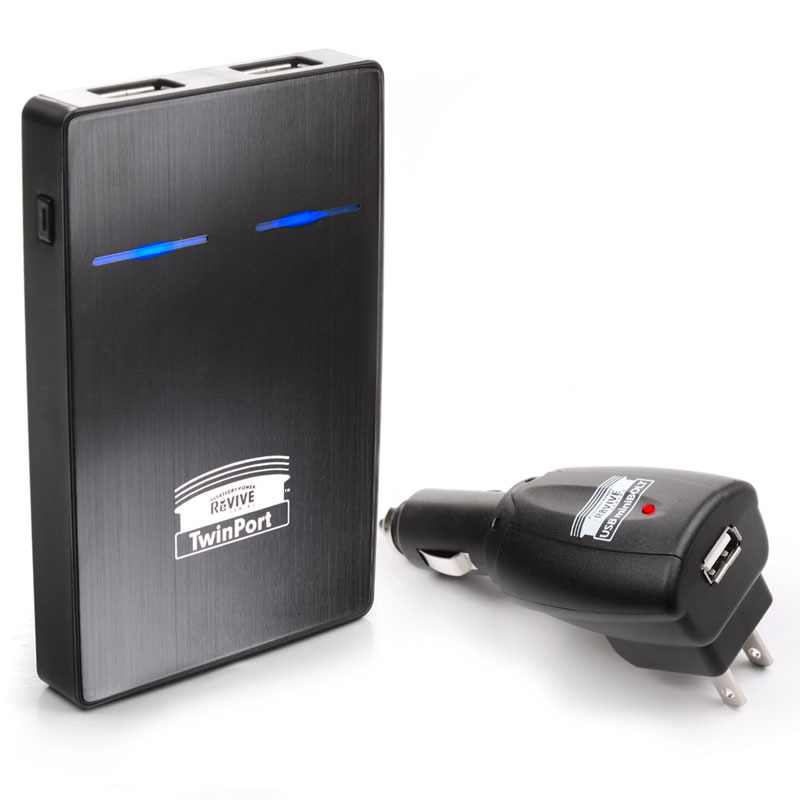 In addition, the external battery pack's internal lithium battery can conveniently be charged through any powered USB port on a desktop computer or laptop, or through an AC or DC power outlet. With a low self-discharge design, the TwinPort keeps its charge for approximately two months while not in use. A convenient LED status indicator on the back of the TwinPort allows the user to easily check how much power is left in the battery with the simple touch of a button. Ever since I bought my TwinPort, my devices are always charged and ready to go! So whether I'm away on vacation, in the car, or even at home, I can always conveniently charge up my devices as needed. To check out TwinPort Dual USB External Battery Pack and other ReVIVE Series chargers, batteries and ports, visit http://www.accessorygenie.com/.